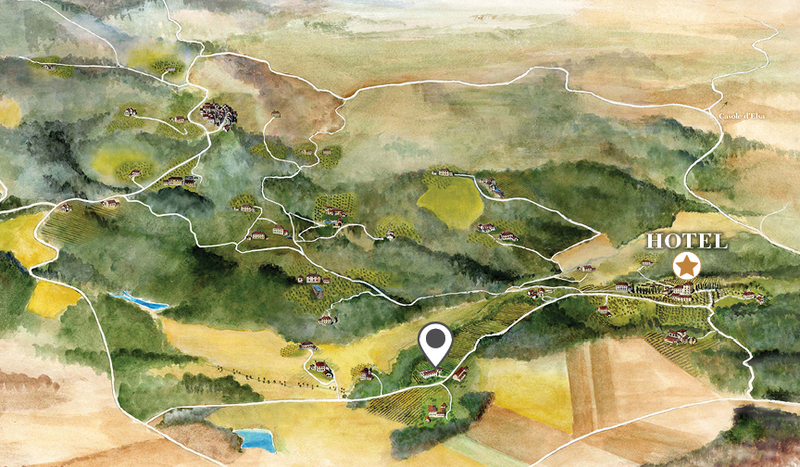 Farm San Giovanni captures the essence of all that is Tuscany. 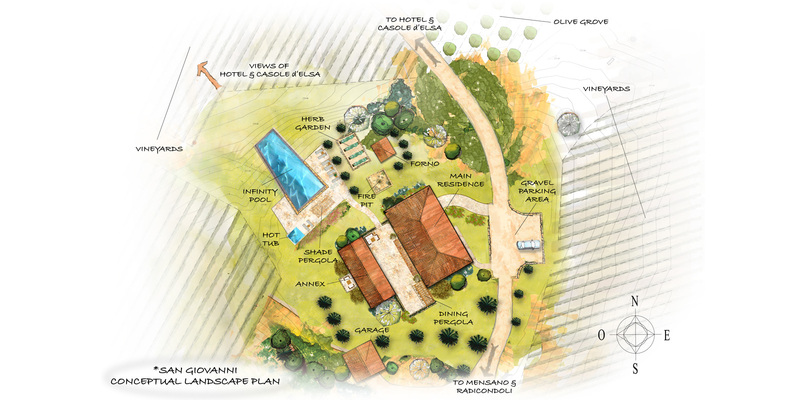 Set on 135 acres, the farm includes 26 acres of vineyards and seven acres of olive groves. Farm San Giovanni includes a restoration site of a centuries old agricultural estate with sweeping views over the vineyards and Tuscan hillsides to the hilltop town of Casole d’Elsa. This is truly one of the most idyllic settings on the entire Casali di Casole estate. Farm San Giovanni includes two farm houses, a large main residence and a guest house. Together they total 7,450 square feet that can be customized to your liking. Our architecture, design and construction team make the process seamless and take out all the hassles of restoring your Tuscan dream home. The design philosophy of our architecture and design team celebrates the traditional historical elements of Tuscan farmhomes such as barrel vaulted ceilings accenting living and dining areas and archways seamlessly connecting the flow of the home and exposed stone walls. Then, we meld all these traditional architectural elements with modern comforts such as expansive outdoor relaxation areas, infinity-edged pools and outdoor kitchens with pizza forno ovens. To inquire about ownership of Farm San Giovanni please contact us in the U.S. at 866.963.5005, or submit the form below.